Music video of the song Endure for artist Ellen Tcaksik who won the Battle of the Bands competition at CHIC 2009 which took place July 12-17 in Knoxville, Tennessee. 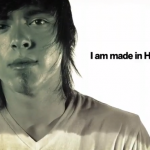 This was the opening video for CHIC 2009 which took place July 12-17 in Knoxville, Tennessee. Spoken word by Sharon Irving, sound by 4K, and pictures by Harold Creative. This video is available for download here. Identity video shown at CHIC 2009 which took place July 12-17 in Knoxville, Tennessee. Speaker intro video for Ephrem Smith at CHIC 2009 which took place July 12-17 in Knoxville, Tennessee.